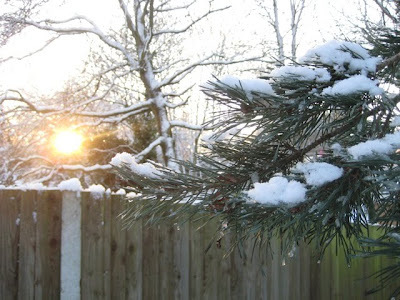 Living in England, particularly in the south as i do, snow is not too common. It usually snows a few times during the winter, settling probably only a couple of times and is almost always gone after a couple of days. This year we have had heavy snowfalls and frozen temperatures that have now been with us for almost two weeks. As usual the snow caused traffic chaos with many people, including myself, unable to get into work. The snow was so dense i couldn't even get out of my cul-de-sac.The authorities gritted the main roads which immediately got clogged up with traffic as nobody could use the side roads. Absolute gridlock! The scene from my front door. Notice the uncollected refuse bins! The upside to all the mayhem was stunning scenery along my usual walks and a welcome silence with fewer vehicles on the roads. 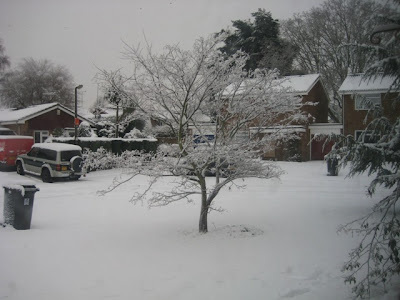 It was also nice to see loads of children outside playing in the snow and listening to their laughter, when usually they are all indoors using the playstation or watching television. 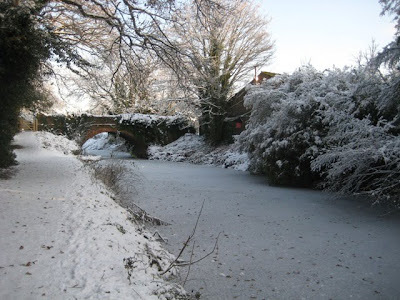 Snow and blue sky along the canal towpath near to where i live. 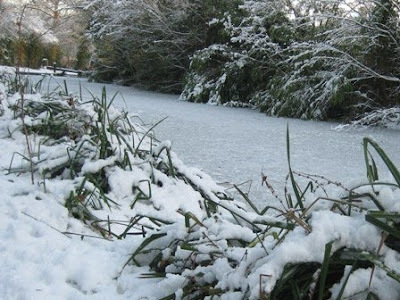 Today the temperatures have gone above freezing and a big thaw has begun. There is slush on all the roads and huge puddles everywhere. No doubt there will be floods as a result bringing more mayhem to parts of the country. That's the trouble with our climate - one extreme to the other and difficult to predict. 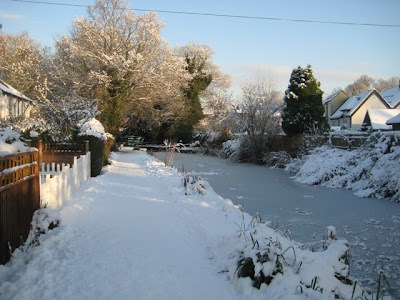 The frozen canal. Notice the trees on the opposite bank weighted with snow drooping into the ice. 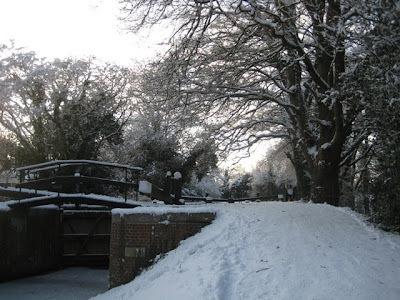 A slippery walk up to one of the locks. Thaks for your comment Jonny Ray. I expect that Florida is hot this time of year? i really wish Malaysia got snow ... your place are beautiful..
Oh wow! It looks like you had tons and tons of snow there! Did the canal freeze? Yes Emm, the canal did freeze as shown in a couple of my photos. 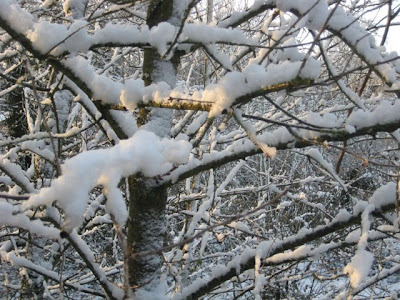 It was very beautiful at the time, but within two days it had thawed and now it's as if there had never been any snow or ice. Quite bizarre. I know! The snow is a long distant memory here too!